This book draws from the author’s experience offering workshops on a contemplative approach to facing one’s own mortality and working with the dying to people of different backgrounds — professional caregivers such as nurses, doctors, and social workers, chaplains, family members caring for loved ones, people dealing with terminal illnesses, and those who were simply curious about the benefits of meditative and contemplative practices. Making Friends with Death is structured around three main themes: awareness, kindness, and openness. In each section, Ms. Lief introduces teachings and practices drawn from her Buddhist training that can be helpful no matter what the reader’s background or tradition may be. The book provides a number of practice instructions and short exercises to engage the reader. The three core practices of her contemplative approach include mindfulness meditation, compassion training through a practice called sending and taking or (Tib.) tonglen, and the contemplation of the reality of death. Included in the book is a discussion of six short slogans or reminders designed to help one be more mindful, self-aware, and attentive in caring for the dying. There is also a provocative discussion of the nature of compassion and the importance of being aware of the many pitfalls to its genuine expression. Although this book is centered around the topic of death and loss, the practice and insights it contains are relevant and useful tools for dealing with the ordinary challenges of daily life. It turns out that the same tools that help us to face death more sanely and help others with more insight and skill are the very tools that can help us to lead more creative and fulfilling lives. So by making friends with death, we are in fact making friends with life. 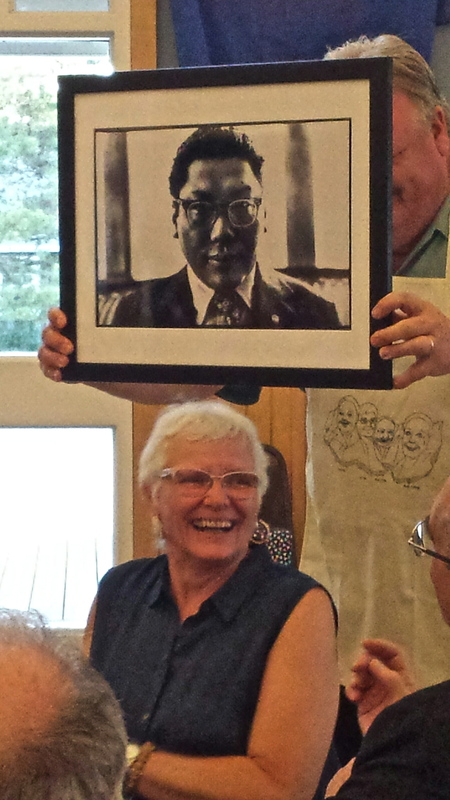 Marilyn Webb. Author of The Good Death: The New American Search to Reshape the End of Life (Bantam). “As I read the concluding sentence of this book I thought for at least the tenth time–this is a fabulous book. It is a down to earth and delightfully gutsy look at our relationship to our own death and that of others. There is directness and humor in the presentation of basic Buddhist understanding that is extremely refreshing. When exploring our strategies for hope and fear Lief comments, “like used car salesmen doctoring cars, we putty over our cracks and flaws, repaint and try to pass ourselves off as solid. Instead of creating an aura of phony invulnerability it would be better to relate with our genuine vulnerability and uncertainty.” Lief strips away the phoniness which can mar our ability to be present with the dying and warns us not try and smooth death over and create a gooey cloying cocoon, “creating a peaceful atmosphere artificially by glossing over our fears and suppressing anything unpleasant does not work. That is not truly peaceful, it is avoiding reality. 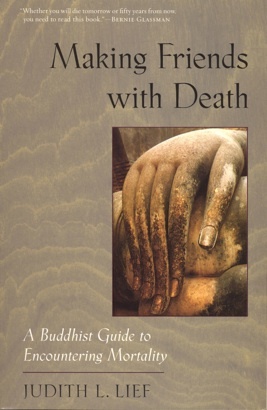 “One of the best ways to live a vibrant life is to stay closely connected to death, according to Buddhist teacher Judith Lief in Making Friends with Death. Drawing heavily from The Tibetan Book of the Dead, Lief specializes in interpreting the paradoxical Buddhist teachings surrounding death, making them understandable to Western sensibility. In fact, she modeled her cleanly written book after her highly popular course “The Psychology of Birth and Death” at the Naropa Institute in Boulder, Colorado, starting with theory, then meditation practice, then practical application. All of these elements come together in one story. Sandra Jishu Holmes, Zen priest and wife of Roshi Bernie Glassman, has died of a heart attack in New Mexico. The body arrives in a plastic bag (Lief removes a name tag from her toe), is washed, clothed in the dead teacher’s teaching robes, and lifted into her coffin. “Once she is in place., flowers and herbs are added, and the preparation is complete”, Lief writes, “Nothing needs to be said. Nothing can be said. It is too simple for words.” In the stark unzipping of that plastic bag, in the tender laying on of water, herbs, hands, Lief synopsizes the diverse facts of death, and the nature of the mourner’s work.